BlueWhite Health are your local Kamloops Acupuncture and Traditional Chinese Medicine experts! We specialize in cupping, acupoint injection and powerful Tui-na massage. Over the years, it is always surprising to learn how a massage from our trained staff can have positive benefits. One of the most rewarding and new ways we are helping people change their lives is with Paediatric Tui-na massage for autistic children. I was raised in a family of Traditional Chinese Medicine background. I used to visit my dad after school at the hospital he worked when I was in elementary. I remember seeing the hope from the parents waiting outside the treatment room while holding their kids, and the happiness with the improvement over the years. All those experiences like a seed planted in my heart. Now I am taking the path after my father and strongly believe in how much autistic children would benefit from Tui-na massage. There are many challenges that the parents and their autistic children have to face everyday. One of the most challenging issues for parents that are raising a child with autism is the loss of parent-child bonding through touch. Many times, autism can cause children to reject, avoid or even fail to notice that they are being touched by their parent. The consequences of this are far reaching. Imagine not being able to feel comforted by the touch of a parent. Or not being able to soothe your child with physical care. Without these abilities, children and parents are often less socially receptive and experience delay in their developmental skills. For many children that we see already, Tui-na massage has helped provide them a source of relaxation, stress reduction and behavioural growth. With ongoing treatment, BlueWhite has been able to help children learn to calm their brains and bodies to many positive outcomes. Children with long term reading and focus problems have been able to properly study and read/write their tests in school without issue after our treatment. The importance of relaxation and stress relief to families living with autism cannot be overstated. 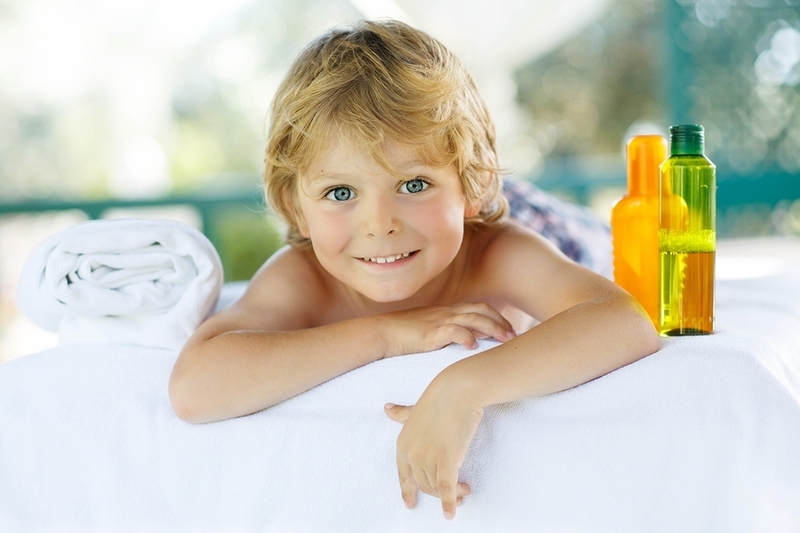 It is BlueWhite's belief that not only autistic children can benefit from Paediatric Tui-na Massage. If anxiety and other issues are clawing away at your happy life with your children, we can help them and you! If you'd like to have your child receive this treatment or have any other questions, please contact us today to set up a consultation. Some simple questions about your child's birth history and behavioural issues will let us know if they are a good candidate for the program.